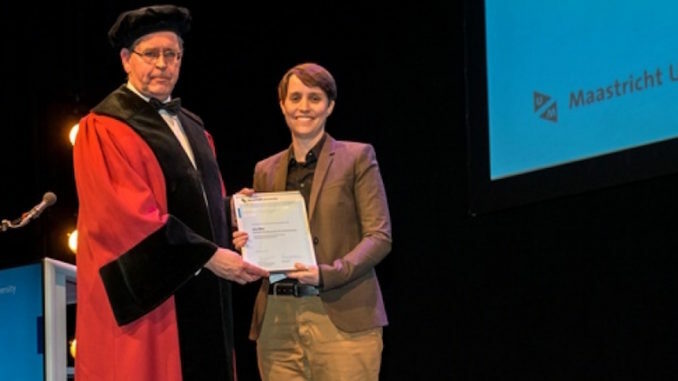 Former MUSTS member Dr Jess Bier has recently received the Dissertation Prize of Maastricht University for her dissertation,’Mapping Israel, Mapping Palestine‘. The dissertation, which was written while Jess Bier was a member of the MUSTS research programme, was supervised by Prof Sally Wyatt and Dr Bas van Heur. The Maastricht University Dissertation Prize is given out annually for the best dissertation defended in that calendar year, rotating between the inner city and the Randwyck faculties. The 2016 award was for the best inner city PhD defended in 2014 or 2015.